Looking for a new phone? 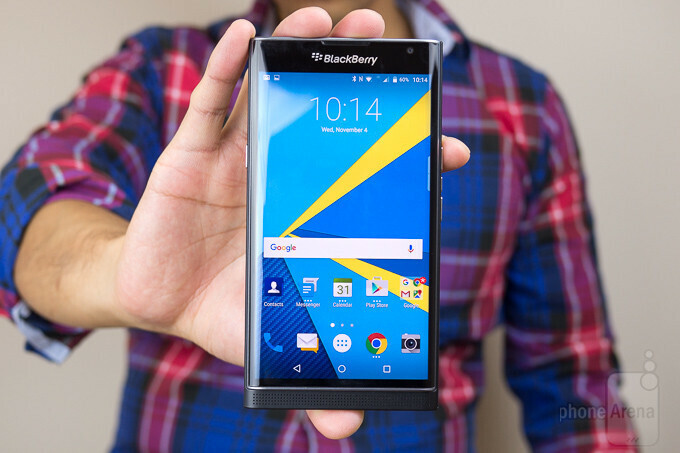 If the answer to that one is a resounding "yes", why don't you consider a BlackBerry Priv? If the possibility of doing so excites you, we have some good news for you! Dailysteals is currently having a bunch of new unlocked BlackBerry Privs that it sells for $309.99. That's 34% lower than the $469.99 price tag the phone goes for on Amazon right now. Not a steal, but a pretty substantial price cut indeed! As far as the duration of this promotion is concerned, we know for a fact that it will go cold in 5 days, meaning you won't be able to get a Priv for just over three hundred bucks after September 14. Too bad! Great price for a very capable smartphone, especially after the updates it's gotten. I really wanted one for Verizon but it was priced way too high compared to what was available and even when I almost bit bullet the phone wasn't available in store by the time i was ready... in NYC no less. It's still on their website but still quite high for oldish hardware. I've noticed that carriers are keeping their PRIV handsets a little high in price. Not sure why they haven't dropped the prices to match what's currently in the web, unlocked. $310 is decent for a nearly year old device. Just remember you're bound to only AT&T and T-Mobile. No you're not. It can be used with any GSM carrier. AT&T and T-Mobile are not the only GSM carriers in the world, let alone the U.S.
None of that says that you can't use it other GSM carriers that support those bands. Nice try, though. *can't use it on other. What I am saying is that "major US" carrier wise, it's usable on AT&T, and on T-Mobile to some degree. Get over it and stop trying to pick a fight on the weekend. The "C" in can't should be capital, and you're missing a comma. What you're saying is incorrect. It can be used fully on AT&T, T-Mobile, H2O, Cricket Wireless, Simple Mobile, and any other MVNO that runs on their respective networks in the U.S., as well as carriers outside of the U.S. they support those bands. "Major" carriers aren't the only ones providing cell service. Get over it and stop being so bumburned because you're posting falsehoods and I corrected you, once again dismantling what little credibility you had left here. Dude, it's not that big of a deal. Just let it go. Not my fault if you were corrected. Lmao! You're obviously saying because you're wrong and bumburned about. Here's some aloe and a cool, damp cloth to help you with the pain. Can't forget Metro-PCS, since they're on T-Mobile's network. No way, omg, that is so surprising. I did not know that. That was so new to me. I know that. That's because you're an idiot. Same goes to Aussie Land... Darn, these Yanks are lucky...! is this a carrier branded phone or the one sold by BB? It's GSM unlocked so you can use it with any GSM carrier. Doesn't seem to be carrier branded. The site says it is AT&T branded so you will likely need an active AT&T SIM card to get OTA updates. That's correct. You will need the AT&T SIM card to get updates. Unless you hook it up to computer and download the update from here: http://us.blackberry.com/content/blackberry-com/en_us/support/smartphones/Android-OS-Reload.html Just select whether your phone is carrier branded or not, download and follow the instructions. Yup, I'll have to go the manual route since I'm on MetroPCS (T-Mobile), but when you're doing the reload, does the phone have to be connected to the PC via USB cable? BlackBerry's website doesn't really give clear instructions on how to do it. It's best to leave your phone connected to the PC via USB cable until the OS reload is complete. Someone apparently read the source. +1 for the truth. You really don't know how this stuff works, do you? You really don't know how to read the sources do you? You really don't know what BlackBerry smartphones are capable of, or know how to read to do research to find out what they're capable of, from the hardware to the software, do you? I don't care tbqh. It's irrelevant to my needs. Cut the lying BS. If you didn't care, you wouldn't be posting on every BlackBerry article. However, thanks for admitting that you don't know what BlackBerry smartphones are capable of. In doing so, you just admitted that all you do here is post trolling BS.